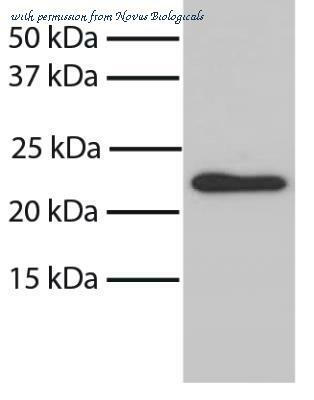 The BAX antibody from Proteintech is a mouse monoclonal antibody to a fusion protein of human BAX. This antibody recognizes human, mouse, rat antigen. 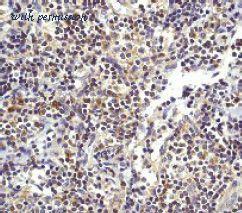 The BAX antibody has been validated for the following applications: ELISA, WB, IF, IHC analysis. 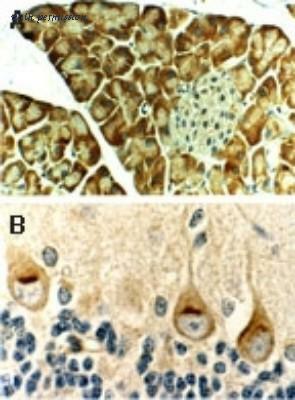 Bax antibody [N1N2], N-term detects Bax protein at cytoplasm on human lung carcinoma by immunohistochemical analysis. Sample: Paraffin-embedded human lung carcinoma. 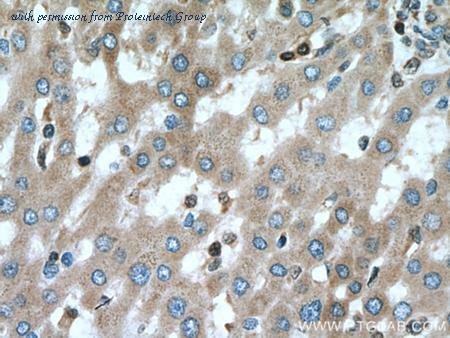 Bax antibody [N1N2], N-term (GTX109683) diluted at 1:500. 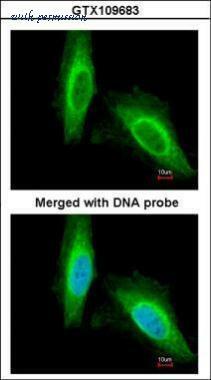 Immunofluorescence analysis of paraformaldehyde-fixed HeLa, using Bax(GTX109683) antibody at 1:200 dilution. 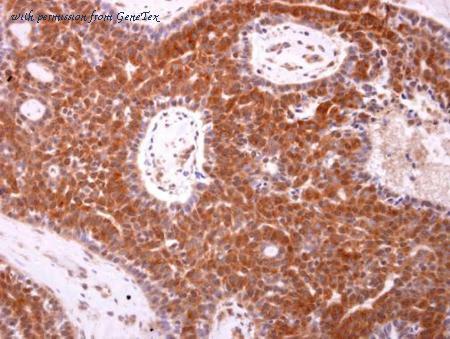 IHC-P analysis of human lymph node using Bax antibody [E63] at a dilution of 1:250. WB analysis of HeLa cell lysate using Bax antibody [E63] at a dilution of 1:2,000. 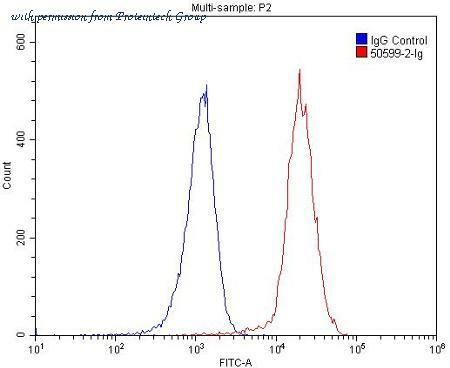 Flow cytometric analysis of Hela Cell using Bax antibody. Western Blot: Bax Antibody (6A7) [NBP1-28566] - Analysis of lysates from human metastatic pancreatic cancer cell line L3.6pl using Bax Antibody (clone 6A7; Lot # B168-P780E). This image was submitted via reviews by a varified end user. 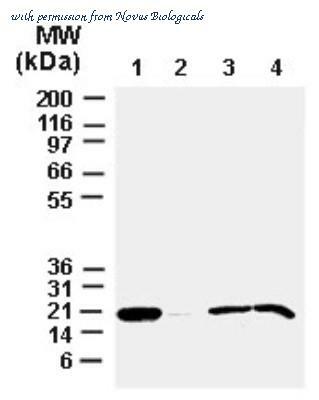 Western Blot: Bax Antibody [NB100-56096] - analysis of Bax in mouse using this antibody. 1. In vitro translated mouse Bax. 2. Normal cortex. 3. Ischemic hippocampus. 4. Ischemic hippocampus. Ishemic samples were prepared 6 hr post middle cerebral artery occlusion. The results show the Bax expression increased following ischemia. Immunohistochemistry-Paraffin: Bax Antibody [NB100-56096] - Formalin-fixed, paraffin-embedded mouse tissue sections stained for Bax using NB100-56096 at 1:2000. A. Pancreas. B. Brain showing expression of Bax in the Purkinge cells. Immunohistochemistry-Paraffin: Bax Antibody [NB100-56097] - Formalin-fixed paraffin embedded section of dog ischemic brain cortex stained for Bax expression using this antibody at 1:2000. At 2 hr post ischemia, Bax staining was seen in the dying neuron that had morphological features of apoptosis. In contrast, mophologically normal appearing neurons lacked Bax staining (arrowheads). Hematoxylin-eosin counterstain. 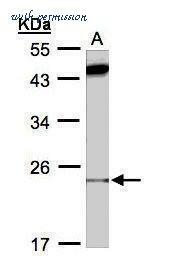 Western Blot: Bax Antibody [NB100-56097] - analysis of full-length recombinant mouse Bax using this antibody.